Huge price reductions on Gibson Guitars while stocks last! We are happy to announce huge reductions in price on a select range of Gibson Guitars while stocks last. For further information on this feel free to contact either of our stores (Waltons Blanchardstown) (Waltons Georges Street) or email info@waltonsmusic.ie. To see the full range available please click on the link below. The new Novation Lauchpad Pro is now available! The Novation Launchpad Pro is now available to purchase both in-store and online here at Waltons Music. For more information on this product click on the link below or contact one of our stores and chat to our staff members who will be happy to help. Zoom launches new ARQ Aero Rhythm Trak! 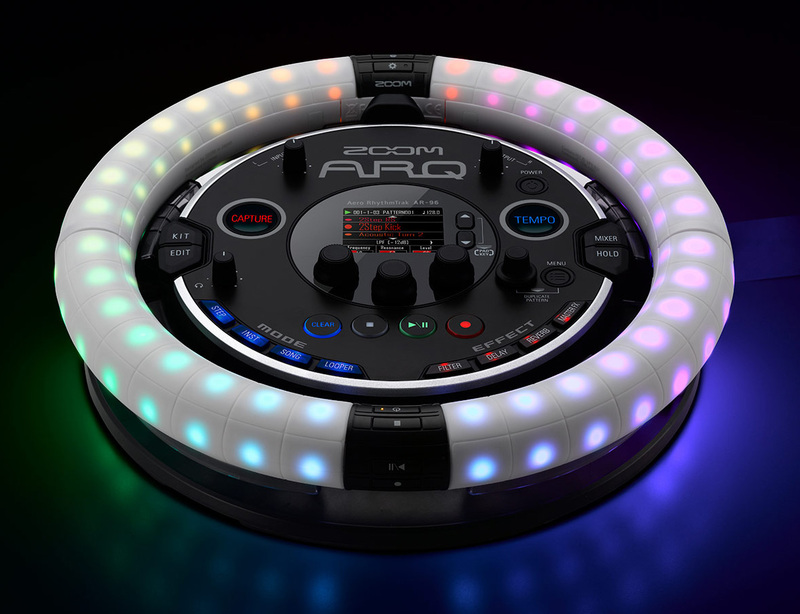 Zoom recently launched their new Zoom ARQ at the 2016 Namm show. While it is not available to purchase just yet, we thought we would give you a sneak peak prior to the anticipated April 2016 release. The ARQ is a drum machine, sequencer, synthesizer, loop station, and MIDI controller with a built-in accelerometer. Even more, ARQ is freedom. With its wireless Bluetooth Ring Controller, you can escape the booth, move the music, and get in front of the crowd. While this machine certainly shows innovation in the EDM production world, we would like to know your opinion on it. How practical is it? Would you buy one for yourself? Any thoughts on the product are open to discussion.